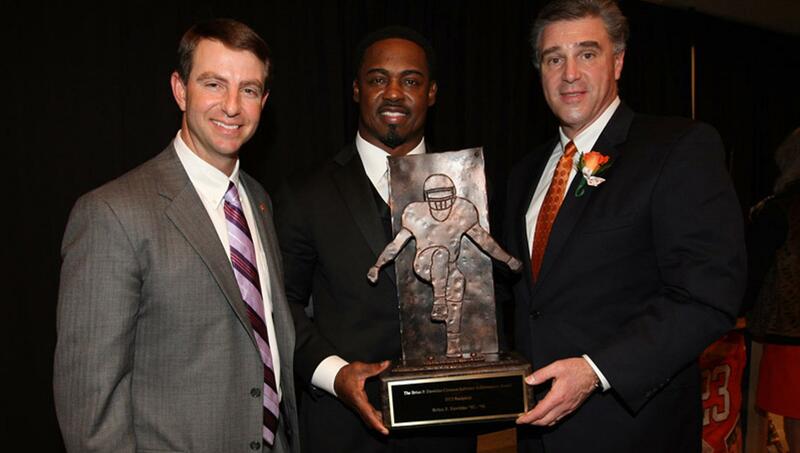 Former Clemson and NFL standout Brian Dawkins spoke at the Clemson football team’s awards banquet on Saturday, January 12. Head Coach Dabo Swinney and Athletic Director Dan Radakovich presented Dawkins with the inaugural Brian Dawkins Lifetime Achievement Award at the banquet. Click here to read more about the award.